Edelman Nogueira, 42, of Palm Springs is facing charges of battery and burglary of an occupied dwelling after he attacked a neighbor who wouldn't have a drink with him. Village officers arrested Edelman Nogueira, 42, Wednesday after he allegedly punched his neighbor in the back of the head. He is facing charges of battery and burglary of an occupied dwelling. 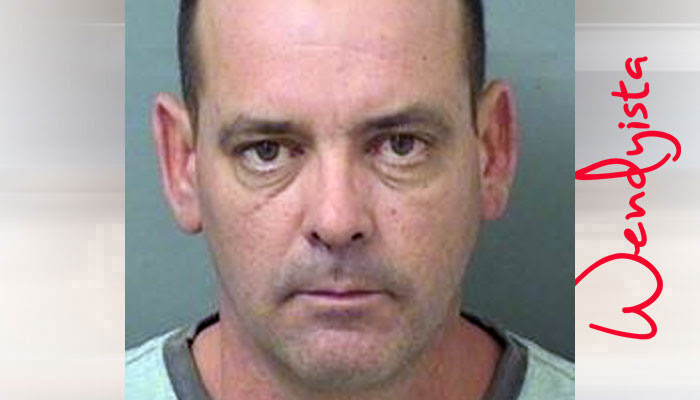 Nogueira was being held without bail Thursday night at the Palm Beach County Jail. At one point, officers had to place him in a body restraint because he had become”very aggressive,” according to police arrest report made public Thursday. Officers were called shortly before 10 p.m. Wednesday to an apartment complex in the 200 block of Rex Avenue, south of Forest Hill Boulevard and west of Congress Avenue. According to the report, a 39-year-old resident told officers he had just come home from a gym and was walking to his apartment when Nogueria asked if he would have a drink with him. The man declined, explaining to Nogueria that his wife had dinner waiting. As his neighbor kept walking, Nogueria punched him, police said. The neighbor turned around to tell Nogueria to stop, then continued to his apartment. When the neighbor opened his front door, Nogueria allegedly forced his way inside and struck the neighbor with an open hand. A brief struggle ensued before the neighbor was able to force Nogueria out and lock the door, the report said. When officers arrived, Nogueria was placed into custody and taken to a holding cell at the police department. He reportedly kicked and punched the glass holding cell, prompting officers to put him in the body restraint.